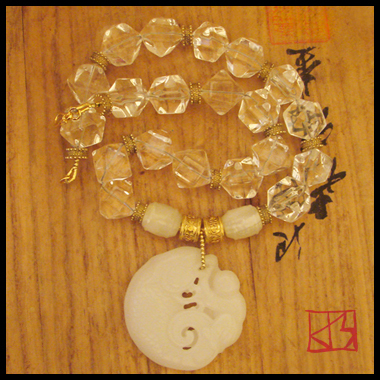 In Asian culture, Koi (carp fish) symbolizes achievement, wisdom in longevity and one's aspiration. 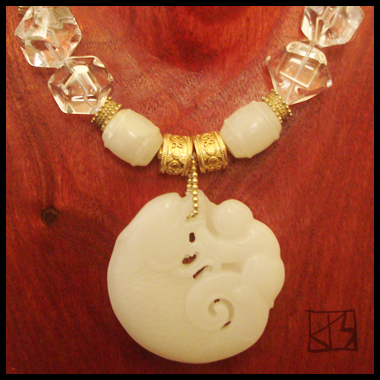 Carved in this white jade bi a figure wrestles the giant fish, representing the struggle taken to achieve one's goals. Koi are also said to fight their way up waterfalls and are therefore a symbol of strength and courage. 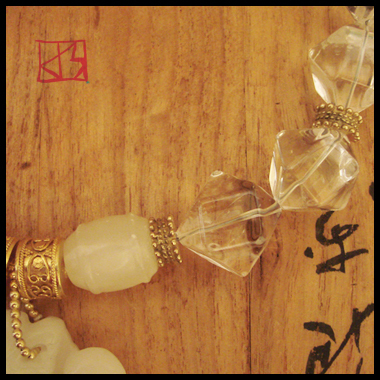 Natural rock crystal quartz faceted 'ice cubes' create the waterfall. 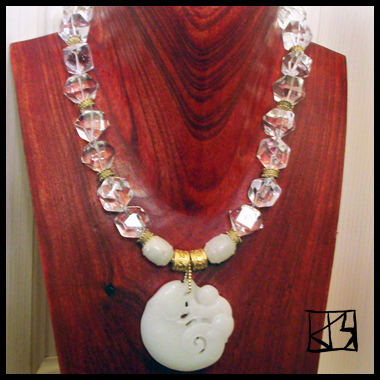 Antique jade barrels and 22kt gold vermeil drums anchor the suspended carving. A lovely and symbolic piece for those who are hard at work to achieve their dreams or to celebrate anyone who has actualized life goals and triumphs.